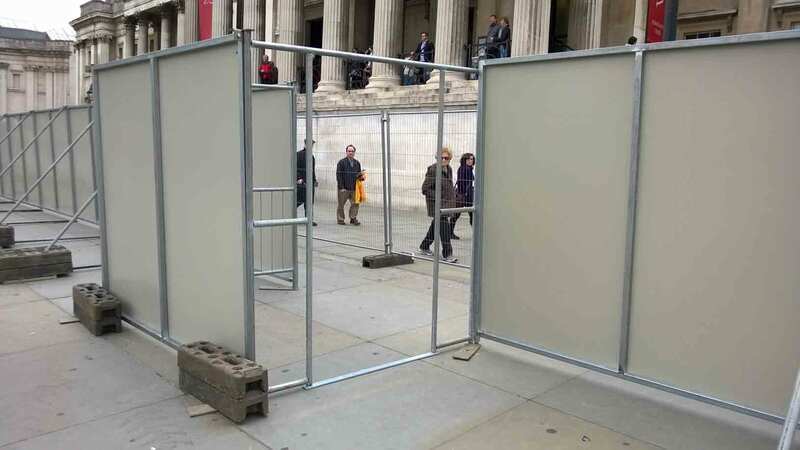 The front of house barrier that will not topple or move under pressure from a crowd. 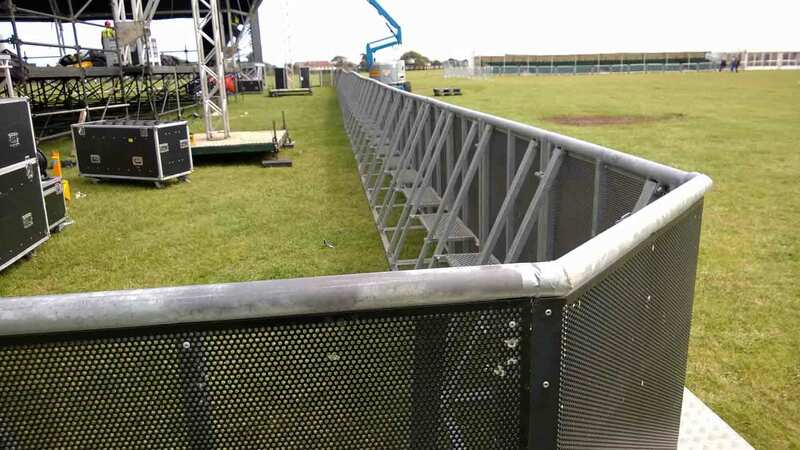 Also referred as the Mojo Barrier, Fence Hire Southern’s Front of Stage Barrier has been uniquely designed to help reduce finger nipping. The fos are strong,durable and the special design also allows for a straighter line to be erected due to the interlocking system. The safety barrier has been tested and the test is available on request. The front is powder coated black to help reduce reflection from stage lighting. 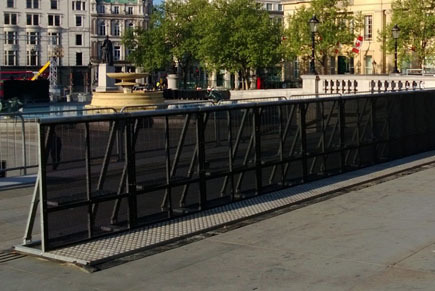 If you need added security at your event then this front of stage barrier is a must. 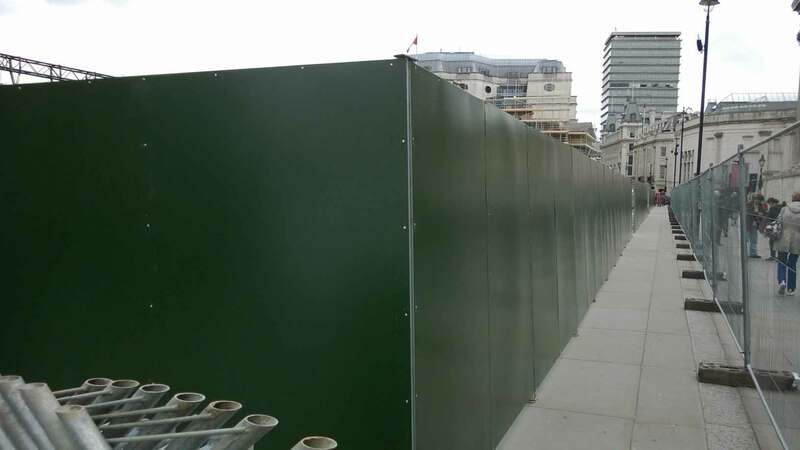 Sitting at 1.2m high x 1.0m long with a fully galvanised frame. 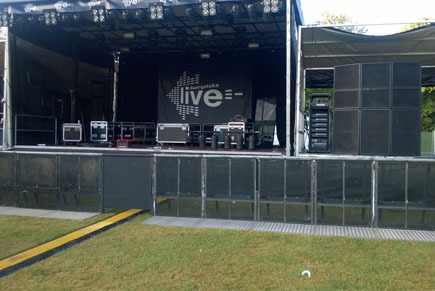 Each barrier is designed to withstand the greatest of pressures while also bringing a quality look to your event. 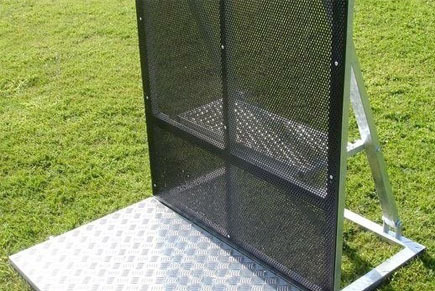 90 degree corners and gates for cable ramps or stage access are available. 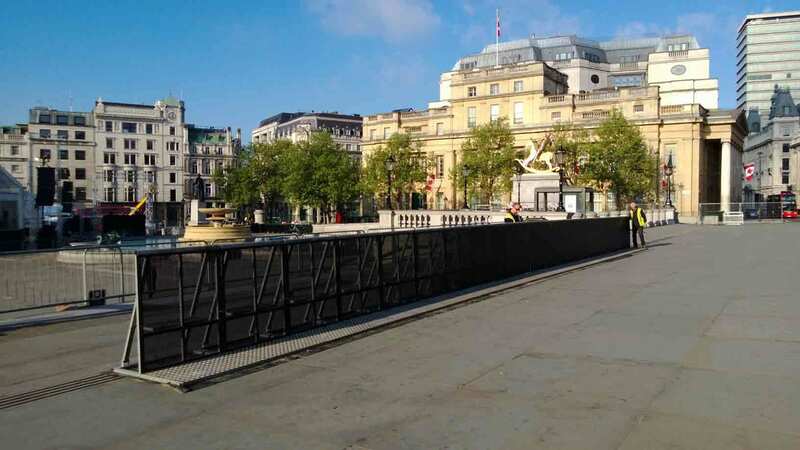 With a 100m run at your disposal, the front of stage barrier can be rapidly put into place and removed to allow your event build and breakdown run smoothly without to much interruption. 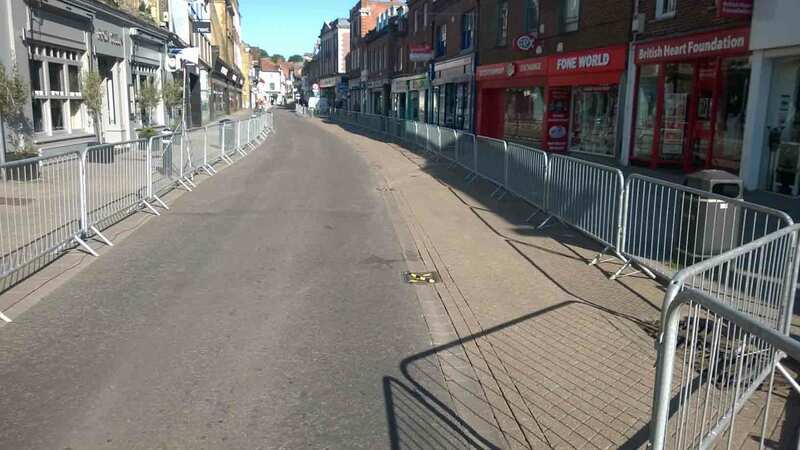 The front of stage barrier is available on a full service and dry hire, but we do recommend that you have some prior knowledge of the equipment before hand. 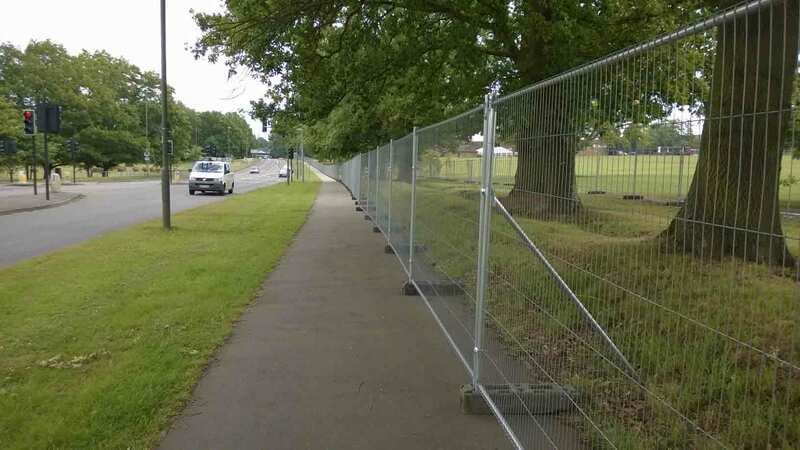 Why Hire Temporary heras Fencing?